Do you really want to run to the doctor every time your child has chest congestion? Sniffles? A cough? 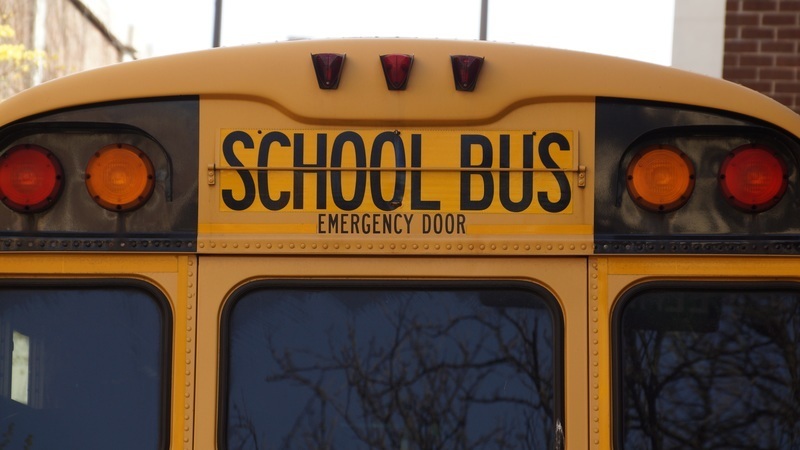 Sometimes an antibiotic is necessary; sometimes it isn’t since antibiotics do nothing to stop viruses that are the cause of many school year ailments. On this episode of Carson Natural Radio, Dr. Phil & Anna Kat talk about natural ways to boost yours and your child’s immune systems for this school year. Episode 100: What Can I Take For The Flu? Are you ready to live? Really live that feeling good life you desire to live? Thank you for joining me on this episode of the Feeling Good Podcast, it’s great to be alive. On this feel good day Dr. Phil will share tried-and-true natural flu remedies that have worked well for him over the years, as well as three ways to prevent the flu. [1:05] Go to carsonnatural.com/resources for a variety of free resources to help you live a healthier life. [1:26] Over the years, Dr. Phil has learned some beneficial natural flu remedies and will share those on the podcast today. [2:10] If you missed the webinar on “The Secrets to Turning Your Body Into a Fat-Burning Machine in 2018,” keep listening each week to learn when the webinar will be available again. [2:48] This is one of the worst flu seasons we’ve had in a long time. What can you do about the flu once you have it? [4:23] One of Dr. Phil’s favorite products is called Sambucol, or Elderberry. [5:44] Several studies have proven that the Sambucol helped people to recover in two to three days versus six days without it. [7:31] Sambucol has also been proven to help activite and boost the immunity in the body to fight off disease. [8:09] Dr. Phil’s favorite product to help treat the flu is called Oscillococcinum, also known as Oscillo. [9:00] Oscillo is best taken at the first sign of symptoms for faster, better relief. It does not work as a preventive, however. [10:58] One of the best ways to prevent the flu is to maintain a strong, healthy immune system; eat well, avoid sugar, take probiotics, etc. [11:39] Wash your hands well. [11:51] Avoid places where there may be outbreaks of the flu. [12:40] Natural Creations has a product called Influenzinum which can be a preventive for the flu if you can’t, (or don’t want to), get the flu vaccine. [14:49] Please check out the free resources at carsonnatural.com/resources and check out Carson Natural Health on Facebook, and join Dr. Phil every Friday, during the noonday hour, Central Time, for his weekly Facebook Live broadcast called Feeling Good Fridays—broadcast from a different location every week. Episode 97: Why Not Make 2018 Your Dirtiest Year Ever? Are you ready to live? Really live that feeling good life you desire to live? Thank you for joining me on this episode of the Feeling Good Podcast, it’s great to be alive. On this feel good day we’ll talk about why our culture has become too sanitary and share three great tips to help you in your fight against colds, flu, and viruses that show up this time of year. [:56] Go to carsonnatural.com/resources for a variety of free resources to help you live a healthier life. [1:31] Dr. Phil is optimistic about 2018 and is looking forward to good things ahead. [3:11] Why would someone put bacteria in skin care products? [3:33] Dr. Phil suggests that we have become too sanitary for our own good. Natural bacteria are vital for our immune system. [4:57] What are soil-based organisms and why do they matter? [6:09] We’re in contact with a lot of people during the holidays and as a result, in contact with the bad bugs more frequently. Probiotics can help keep our immune system strong. [6:38] Dr. Phil shares three tips to help keep our immune system healthy. 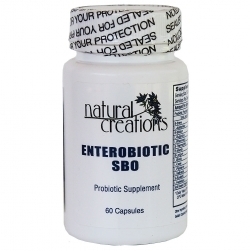 [7:02] Take a probiotic on a regular basis or eat probiotic foods so you can have good bacteria to fight the bad. 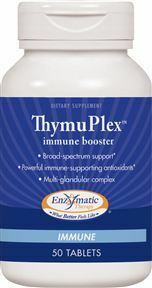 [7:47] Take immune system boosters that support the thymus gland, which is the master gland of the immune system. Thymuplex is one Dr. Phil often recommends. [9:23] Zinc is vital for a healthy and strong immune system. Zinc can help you fight bacteria and viruses. [11:34] This episode’s Feeling Good Superhero is Ina Carson, Dr. Phil’s mom. Dr. Phil wants to feature her today because she was the one who encouraged him to get outside and play in the dirt and didn’t get mad when he got dirty. Dr. Phil and his family weren’t made to be too sanitary and he’s thankful for that because he knows those soil-based organisms helped him to build a healthy immune system. He still doesn’t mind getting dirty and likes being outdoors. Dr. Phil is thankful to his mom for this. [13:26] The greatest joys in life come not from you being lifted by others, but rather by others being lifted by you. [13:50] Please check out the free resources at carsonnatural.com/resources and check out Carson Natural Health on Facebook, and join Dr. Phil every Friday, during the noonday hour, Central Time, for his weekly Facebook Live broadcast called Feeling Good Fridays—broadcast from a different location every week. significantly less nutrients and minerals than they did 50 years ago. With many contributing factors that include different farming techniques, soil that is less rich in mineral deposits, and genetically altered products, the bottom line is that today the optimal level of nutrients cannot be sustained by our diet alone. This leads to the question: How can we receive the necessary amount of nutrients to achieve and sustain a happy, healthy, and whole life? The answer is to take supplements. However, not all supplements actually provide your body with the nutrients it needs, and some even contain harmful chemicals. This poses another question: How can we know which supplements will help us and which ones will hurt us? 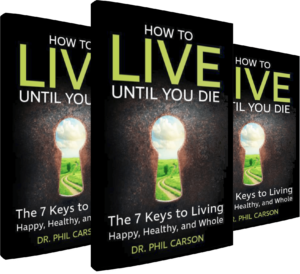 In the book How To Live Until You Die Dr. Phil Carson explains how to find the supplements your body needs and how to avoid the chemicals it doesn’t. Dr. Phil tells his readers “You might be shocked to find artificial colors, flavors, preservatives, and other Big Seven Toxins in many of the multivitamins that you’ve been told are a one-pill-per-day solution. In reality, many of those vitamins are a waste of your time and money.” He then provides three simple guidelines for selecting supplements that won’t expose your body to harmful chemicals. The tips that Dr. Phil provides about supplement selection include avoiding the same dangerous chemicals and ingredients (Big Seven Toxins, etc.) that you would avoid in food. Only take vitamins with ingredients that are organic or substances found in nature and avoid toxic coatings and unhealthy bindings. Instead, look for vitamins with plant based vitamins and be wary of supplements that list all of the vitamins and nutrients in milligrams, because that can be an indication that the product is synthetic and doesn’t contain food-sourced nutrients. Several reports warn against the danger of taking synthetic vitamins that attempt to manufacture the nutrients with chemicals rather than extracting the nutrients from a natural source. Immediate dangers include impeding your body’s ability to absorb real nutrients from real food, possible birth defects, increased cancer risk, hypercalcemia, and blood clotting. The Organic Consumers Organization published a report that gives an in-depth look at the differences between natural and synthetic vitamins, explains why synthetic supplements are so harmful, and sheds light on how to tell if you’re putting your body at risk by taking a synthetic vitamin. The evidence-based articles at Authority Nutrition break down the way the body responds to synthetic vitamins, and encourage you to only take supplements that come from natural ingredients. Although supplements can be greatly beneficial to your health, each of us has a unique body composition and could have a different reaction to certain supplements than another person. (The same is true with food and with medicine.) Therefore, you should always consult with your doctor before adding a new supplement to your daily regimen. Your doctor knows you and has charts, notes, and other details regarding your health history. Make sure you are getting the right supplements in the right amounts by discussing your plan with your regular doctor. Taking the right supplements in addition to maintaining a healthy diet will do wonders for your body, but to truly live a full and rewarding life, there are a total of seven crucial elements you need to balance. To learn more about these seven keys to living happy, healthy, and whole, order your copy of How to Live Until You Die today. If you’ve ever felt motivated to improve your health, you’ve probably realized that eating right is crucial to success. Whether you want to lose weight, gain muscle, or just feel more alive, having the right diet is critical. Most people cringe when they hear the word “diet” because their first thought is that they have to undertake an extreme regimen of eating far less, far more, or much different food than they are used to. However, the word “diet” in its simplest form is more accurately defined as the kinds of food that a person, animal, or community habitually eats. Everybody has a diet. For some people, a diet can include fast food, sugary drinks, and daily desserts. Others may consider their diet to be Paleo, Mediterranean, vegetarian, or one of the other well-known, well-defined mainstream diets. Your diet is what you eat regularly. If you want to improve your overall quality of life, take a long look at your diet. Are you consuming too many harmful foods? Could you add more fruits and vegetables to your daily intake? What exactly is the ideal diet? No two people are exactly the same, and no two diets need be exactly the same either. The best diet is what works best for your body. However, there is one thing that is essential across all diets, for all humans, regardless of shape, size, age, or any other variable: The number one most important thing to consume every day is water. Our bodies are made primarily of water. In fact, our composition is 60-70% water. The bottom line is: We can’t live without water. According to Dr. Fereydoon Batmanghelidj, an authority in the medical community, more than 75% of Americans are chronically dehydrated. This astounding statistic may very well explain the root cause of many ailments suffered by individuals across the country. To truly live happy, healthy, and whole, you need to drink at least .5 ounces of water for each pound that you weigh, each day. Water plays a major part in flushing out deadly toxins and allowing us to feel fluid, flexible, and energized. Several scientific studies have found significant correlations between water intake and reduced risk of bladder cancer, rectal cancer, colorectal cancer, colon cancer, and breast cancer. The collective conclusion of the studies mentioned is that “Water is undoubtedly the most important nutrient and the only one whose absence will be lethal within days.” Dr. Phil gives an overview of these studies in How to Live Until You Die, along with recommendations on the best water sources and types of water, the best times to drink water, healthy ways to make water more flavorful, and warnings against drinking tap water. You have probably heard Dr. Phil say, “You may not be drinking enough water, but you need to be! Stay hydrated, my friends!” But there are so many options, how do you know what type of water to drink to make sure you’re getting the most benefits and great taste, while keeping it simple and consistent with your lifestyle? Dr. Phil recently shared a video on his Facebook page, where people have tested the Ph Balance levels on popular brands of bottled water. It’s shocking to see these results. Dr. Phil highly recommends drinking high quality bottled spring water or mineralized water for that reason. Two of the most common reasons people give for not drinking enough water are that is tastes too plain or it’s too boring. Water doesn’t have to be boring or plain! Have you tried adding fresh squeezed lemons, limes or oranges? Adding fresh fruit to your water can taste even better than the chemical-infused elixirs marketed as sports drinks or enhanced waters. Experiment today with adding fruit to your water. Your kids and grandkids will love it too! To learn more about the health benefits of water, how to get the right amount of water in your diet, and to discover the other six keys to living happy, healthy, and whole, order your copy of How to Live Until You Die today. You can also listen to a recent episode of the Feeling Good Podcast, where Dr. Phil discusses the importance of water in your diet on our website or in iTunes.